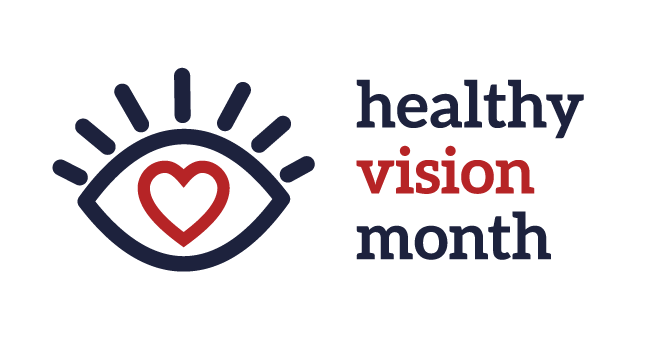 Vision is one of the most important aspects of your health and this Healthy Vision Month, we’re joining the National Eye Institute in spreading the word about the importance of healthy vision — and encouraging everyone to make vision a focus! Make sure you keep up with your annual eye exams. Even if you think your eyes are completely healthy and you have not experienced any eye disease symptoms, you are still at risk. According to the National Eye Institute (NEI) at first glance, glaucoma has no symptoms, causes no pain and vision stays normal. The only way Glaucoma can be detected is through a comprehensive eye exam. Keep in mind, Glaucoma has no cure and vision lost from the disease cannot be restored, the only way of preventing this disease is to keep up with your annual eye exams and bring up any eye fatigue to your ophthalmologist. Learning about your family’s eye health history is extremely valuable as genetics play a major role in many eye conditions. The American Academy of Ophthalmology states that “having a family member with glaucoma makes you four to nine times more likely to be struck with the disease.” Don’t hesitate to ask your family members if they know of any family history in eye diseases, it could essentially help you and other relatives stay ahead of any devastating health issues. Make sure you are wearing sunglasses that have UVA and UVB protection. Sunglasses are not only a fun accessory but will ultimately protect your eyes from any retinal damage, which will delay the development of cataracts. Watch this video from the NIH for tips on purchasing the right sunglasses. We all know that smoking leads to many different types of health problems, but did you know that it also affects your vision? Smoking can lead to both cataracts and macular degeneration, plus smokers are at a much higher risk for developing diabetic retinopathy. Read more about smoking and eye disease from the American Academy of Ophthalmology. Diet is a major factor in fighting against any future health issues, but it also affects your vision. Keep your eyes healthy by adding more eye friendly nutrients to your daily diet. Adding antioxidants like lutein and zeaxanthin, vitamin C, vitamin E, and zinc may reduce the risk of eye disease. Consult your ophthalmologist/retina specialist first before consuming more daily vitamins. To learn more about eye health, visit the National Eye Institute and find out how you can make sure you are keeping your vision clear for your future.